There is probably no inhabitant of ex-Eastern bloc country, who wouldn’t know GAZ company from Niznij Novgorod, which manufactures automobiles for more then 70 years, exactly since 1932. In this year new truck manufacturing facility was built with cooperation with Henry Ford. The most famous GAZ cars in Czech republic are definitely passenger vehicles Pobeda or Volha, Czajka limousines, and terrain vehicles GAZ 69, which became keystone for construction of UAZ offroad vehicles. 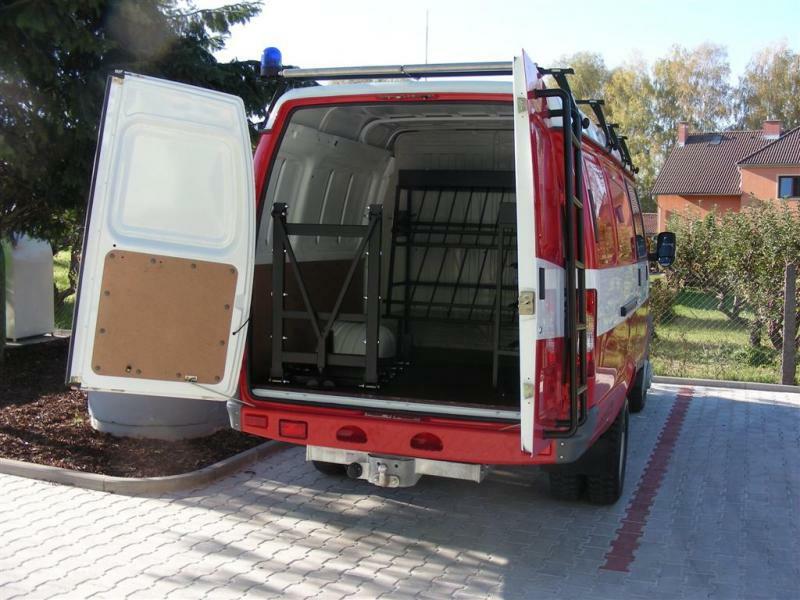 The same platform was used for GAZ 53 and 66 trucks, or for example for ARO offroad vehicles, made in Romania. 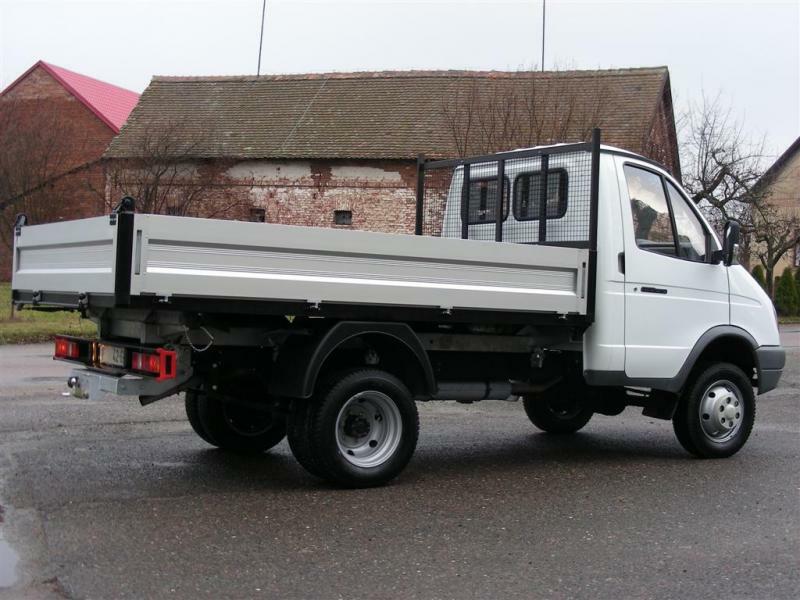 In the early 80s at the XXVI Communist party meeting the USSR top management of the party decided to speed up the development of new light utility truck with payload 1.5 ton. 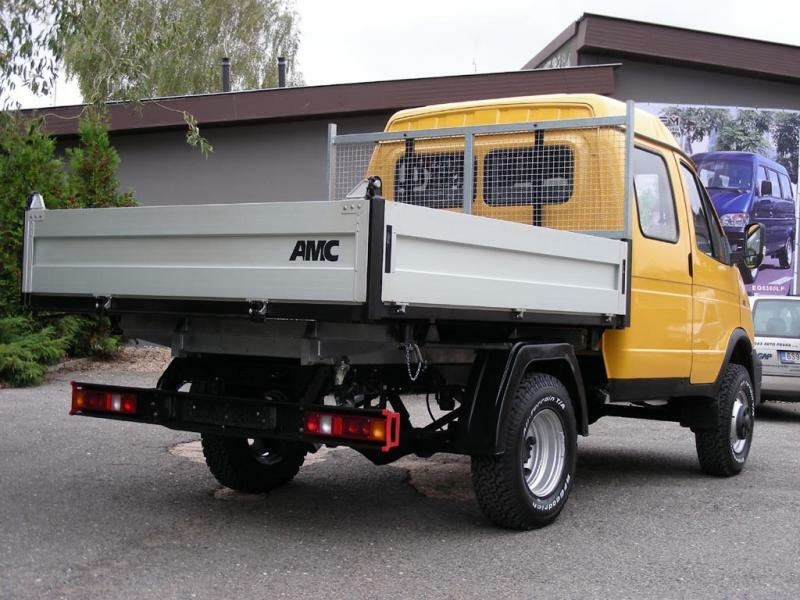 In 1984 NAMI development office began development of new utility truck. At the following image, 1986 prototype is pictured. In 1985, specialists from GAZ and UAZ manufacturers joined the project. As a leading designer, Adrian Ivanovic Makarov from UAZ was placed. 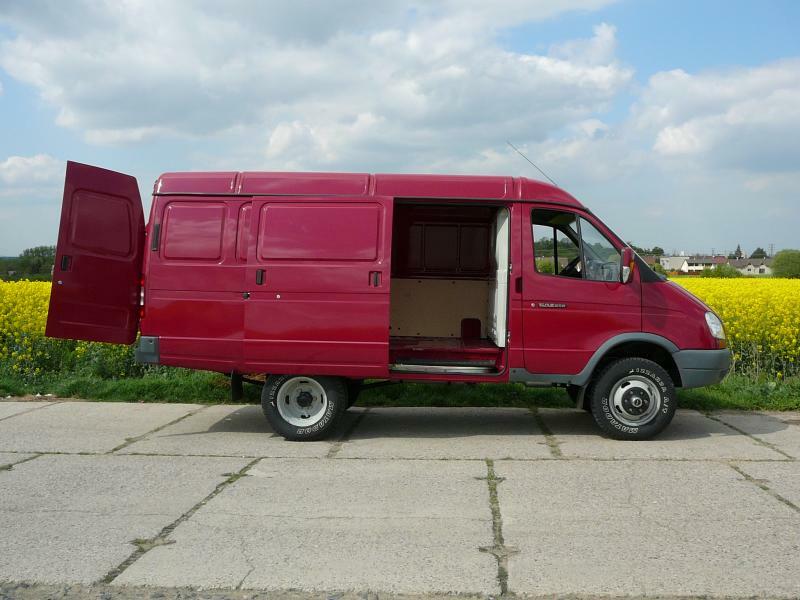 In the same year, competitors up-to-date models were purchased – Renault Master, Iveco Daily, Mercedes and Ford Transit, which all were used as a background material for studying. In 1986 there were already first vehicles going around test track of Uljanovsk plant, called for the present UAZ-3727. Because of the fact, that UAZ already had a complete production line of 4x4 cars, and the GAZ was specialized on trucks and other vehicles, it was decided, that new manufacturing plant with capacity of 40.000 units per year will be built in Kirovabad, Azerbaijan. Regarding the schedule, KiAZ should product first vehicle in 1989 already. 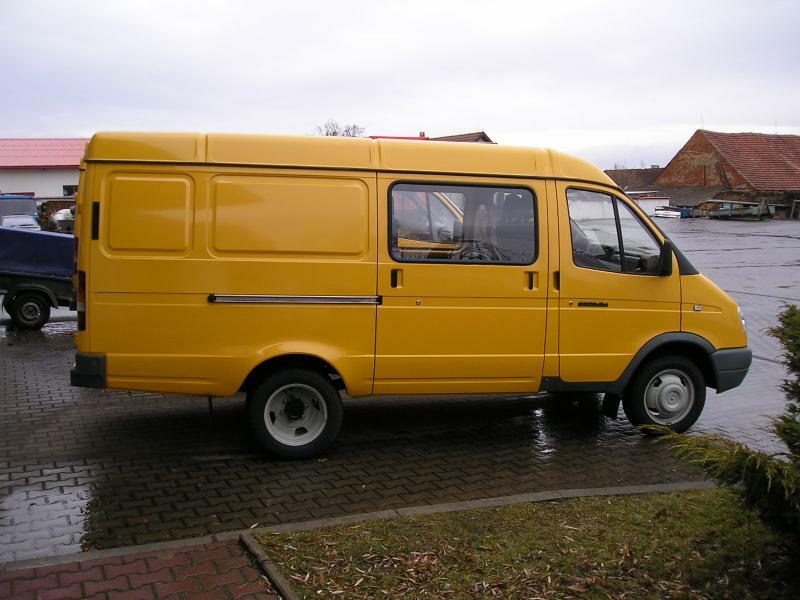 During 1987 the manufacturing plans and schematics of the VAN version with low top was transferred to Poland within the common help between the RVHP countries. In Poland GAZ-51 was already made, as well as the ZUK vehicles later. Poland already produced Leyland engines (license of Great Britain), called Andoria, however in Russia the proper diesel engine was still missing. Russia’s UMZ diesel engine was not even in prototype phase. 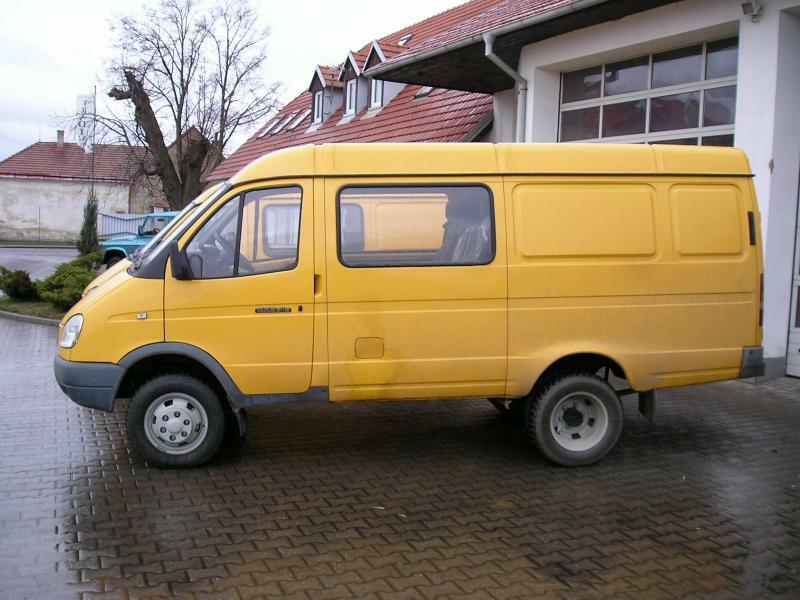 Because of the fact, that at the end of 80s, Eastern socialistic countries block begun to fall, the new utility vehicle, equipped with Andoria diesel engines started production under Lublin name in Andrychow, Poland. In the end of 1987, IAD (International Automobile Design) company was invited to participate at the development of almost finished vehicle. English not just completely redesigned the bodywork, but they also developed new independent suspension of the front axle for it. Unfortunately it was very complex and expensive. The new completely redesigned vehicle was called MULTI-2500 in Europe, and BAZ-3778 in USSR. At following picture you can see the only prototype picture made at the brochure photo shoot. BAZ marking was used, because new KiAZ Azerbaijan plant was not ready and therefore it was decided to start the production in Brjansk plant, which until then manufactured military vehicles. Not even Brjansk zavod did not started serial production, and made only limited series of few units. Based on decision of Ministry of automotive industry production was moved to Gorkij to GAZ plant. In 1992, GAZ plant was converted to Joint Stock Company and Nikolaj Andreevic Pugin was called for president. Pugin immediately gave a go to a GAZ GAZelle vehicle project, and new utility vehicle production started. 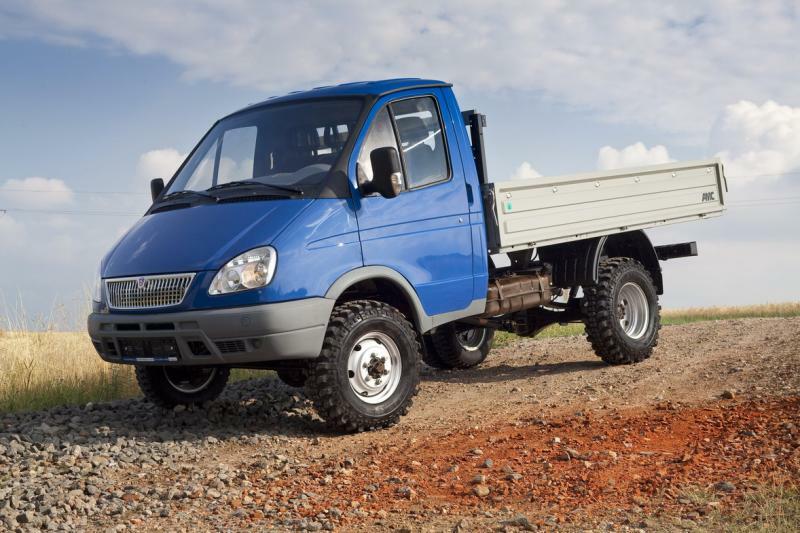 In 1994, official production of GAZ GAZelle VAN, chassis and lorry versions started. In 1997, ROSS, a.s. Czech company made a first attempt of GAZelle sales at the Czech market. ROSS company assembled vehicles from imported semi-finished kits, and mounted VM turbodiesel engines into it. Final product was sold at the Czech market under name ROSS Gazelle. Unfortunately not for long, because ROSS company internal problems brought company to bankruptcy. 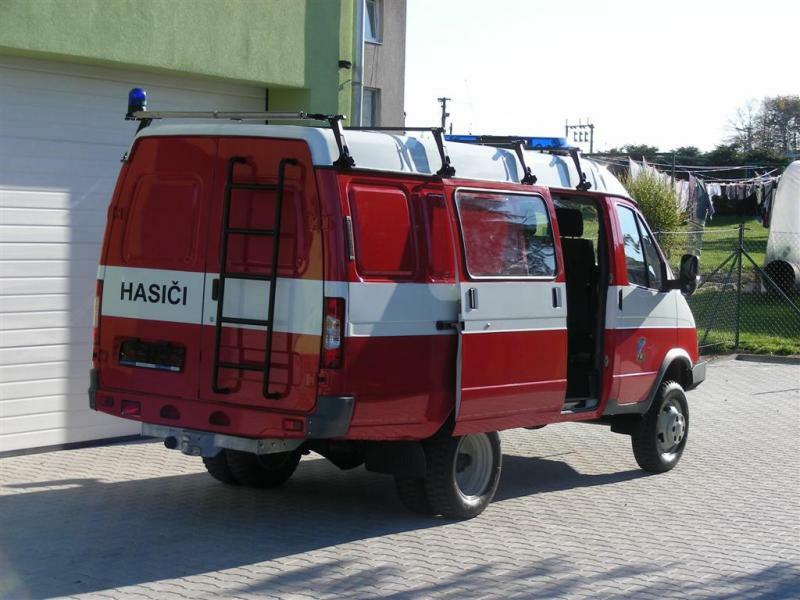 V roce 2003 byl proveden face lift vozidla GAZ - GAZelle díky kterému se omladil nejen vnější design vozu ale také interiér. 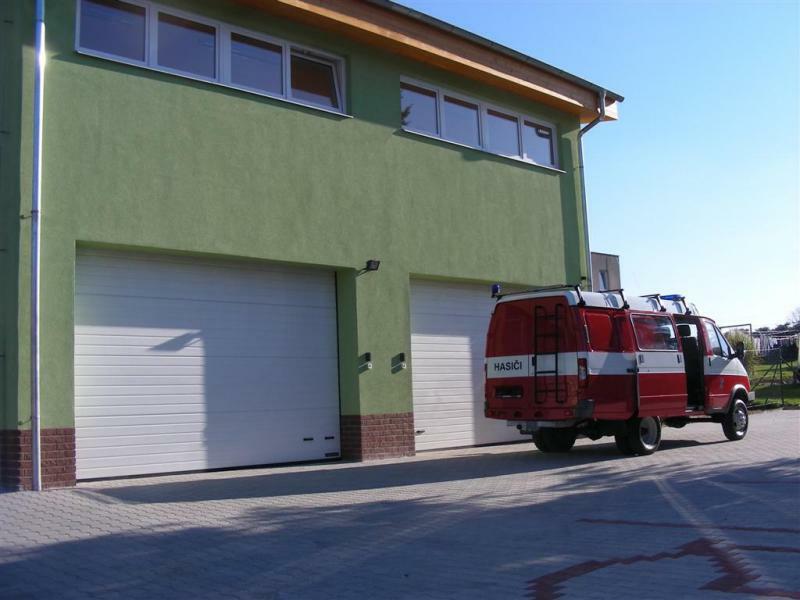 Na vozidle byla provedena řada důležitých změn, které vedly ke zlepšení kvality a zvýšení užitné hodnoty vozidel GAZ - GAZelle. In 2003, facelift of GAZelle was done. 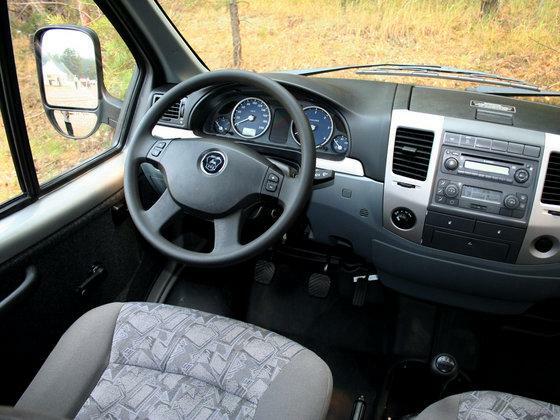 Thanks to it exterior and also interior was rejuvenated, many improvements was done to the vehicle to improve utility parameters of GAZ GAZelle vehicles. Since the half of 2003, production of GAZelle vehicles started also in EU construction plant in Rokiskis, Lithuania. Vehicles made in EU are mounted by turbodiesel Andoria engines, and meet all the requirements of EU homologations. Vehicles determined for EU market sales were improved in quality, which was unable to reach in Gorkij plant, where annual priduction of GAZelle reaches 150.000 units per year. 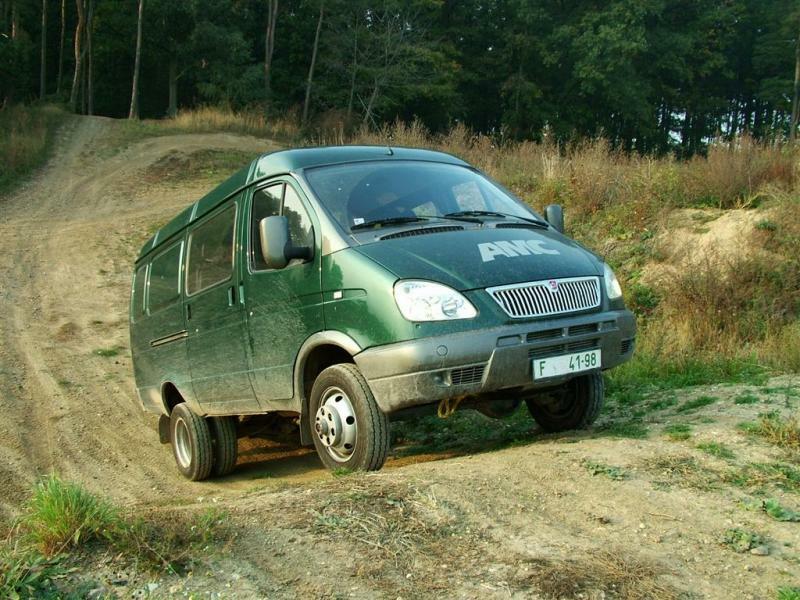 At the end or 2003, GAZelle vehicles came to the Czech market – you could see it for the first time in 2003 at ARO SHOW exhibition, organized by AUTO MAX CZECH company. In 2005, nine millionth GAZelle vehicle run off the Gorkij automobilnij zavod production line. 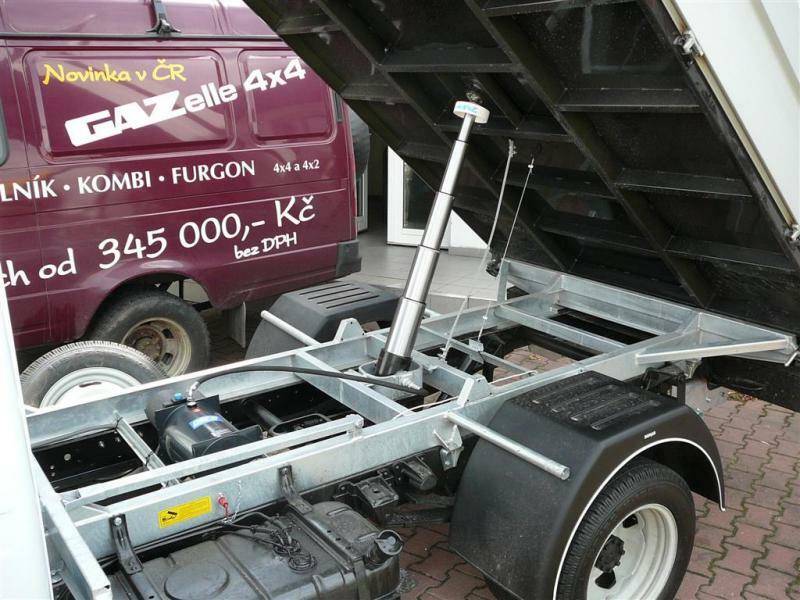 VGAZelle vehicles are perfect mate for your business because of its simplicity, variability and low service costs. 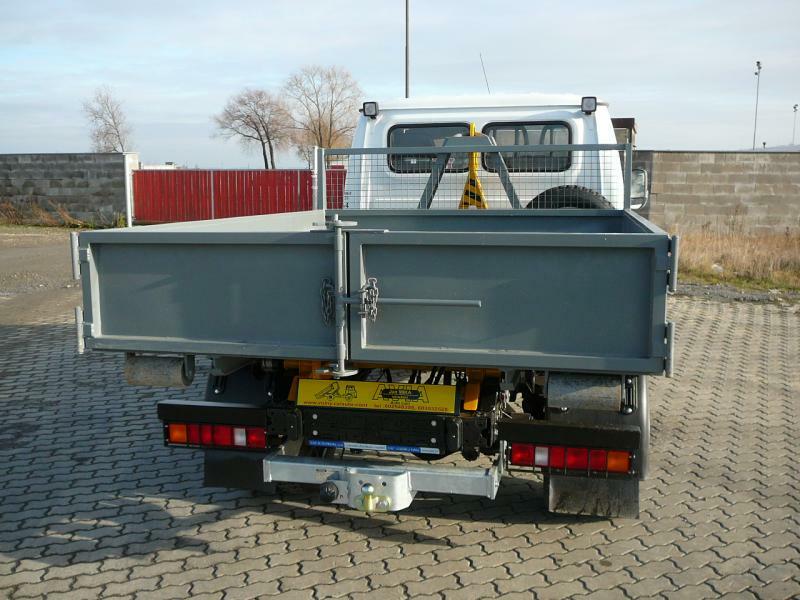 Total weight up to 3.5 tons means, that driver is allowed to drive GAZelle with passenger car vehicle license, therefore GAZelle is allowed to enter city centers, where trucks are forbidden to be driven. A short gear of 5-speed gearbox allows dynamic driving even with fully loaded car. 4x4 drive equipped vehicles are priceless helper in terrain and hardly accessible areas, where other vehicles of the same type are unable to operate. Central differential lock or detachable front wheel drive allows the GAZelle to drive also in medium terrain conditions. 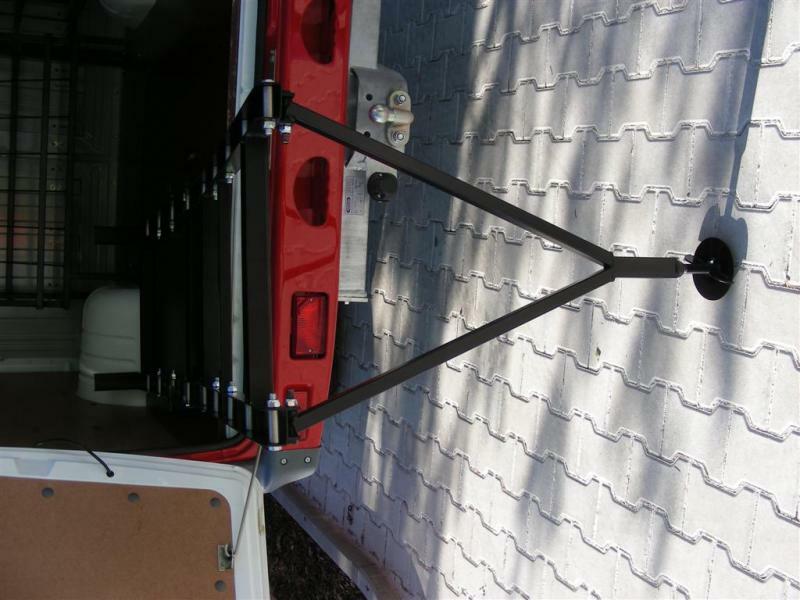 Usage of GAZ-GAZelle vehicles is supported by possibility to mount the vehicle with any type of platform. 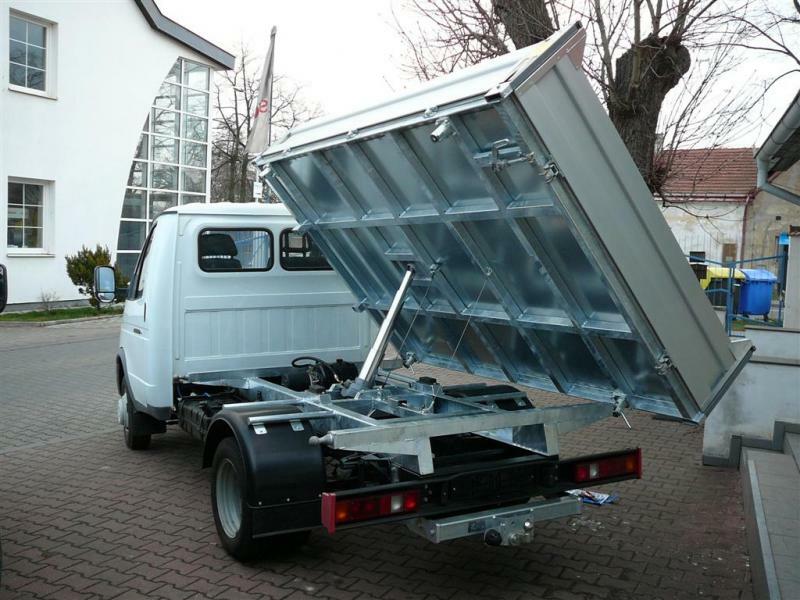 You can choose from tipper, lorry, cargo or container platforms, or any special demand can be realized on the GAZelle base. AUTO MAX CZECH Company imports diesel vehicle only from RAG Rokiskio Autogamykla Company, situated in EU. In Rokiskis plant, EU quality standards are set up, as well as homologation standards and sales policy. 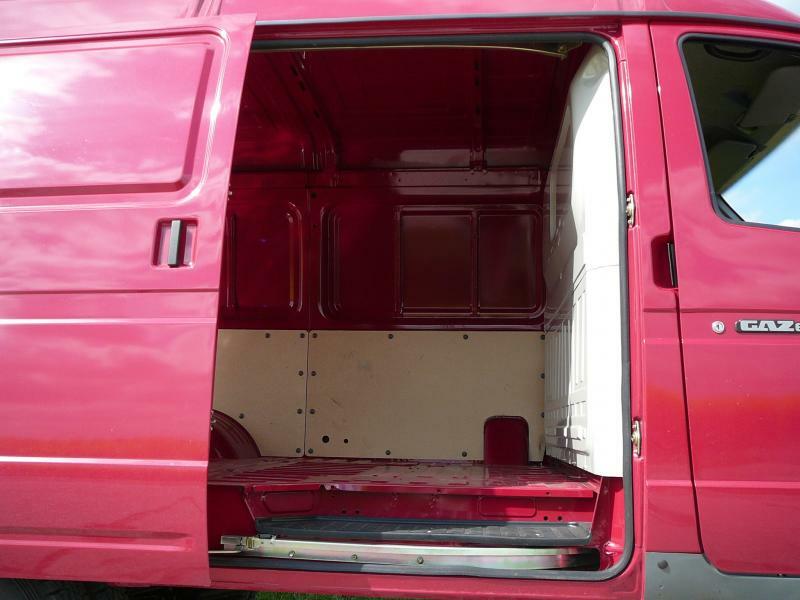 Vehicles made in EU consist of many components made in EU, as well as quality control standards and for example anticorrosive protection was improved. 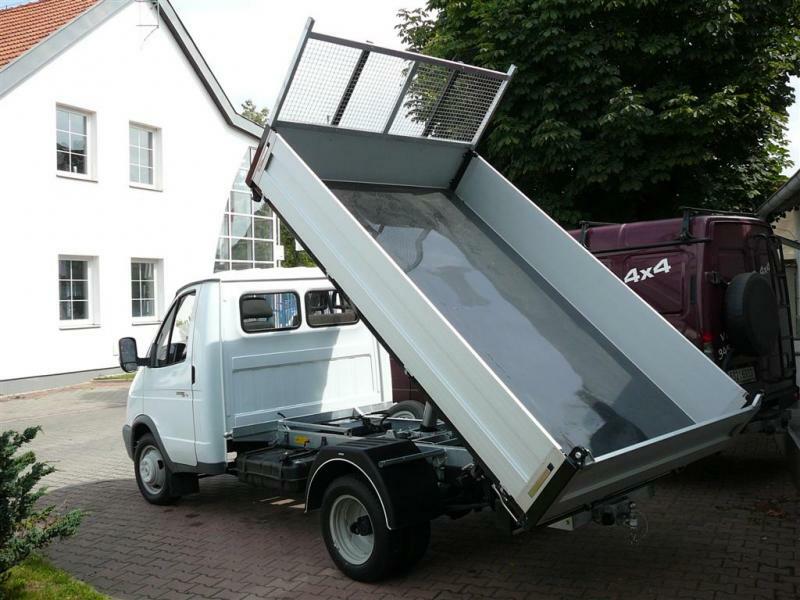 GAZelle vehicles are offered in thee main versions – chassis, lorry and VAN. 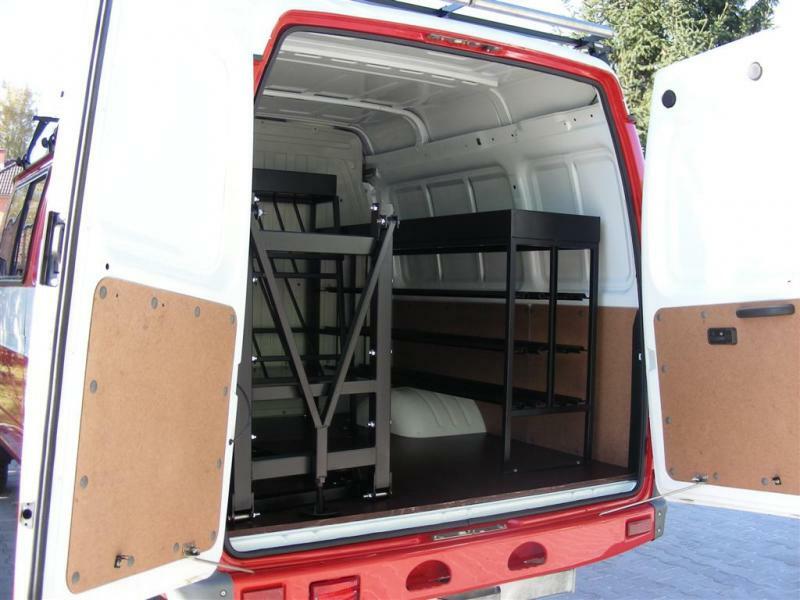 VAN can be chosen from 3, 7 and 9 seats versions, 2WD, as well as 4WD are available. 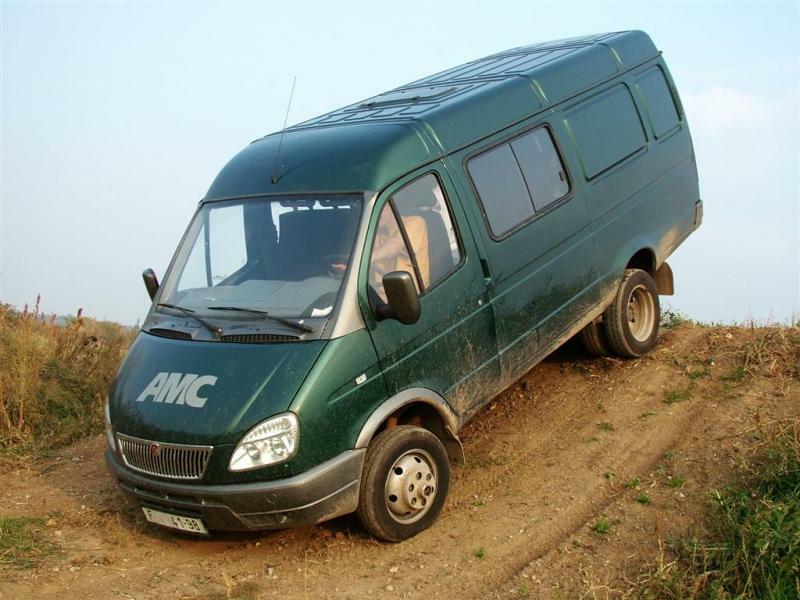 AMC company developed FWD on demand – it means you are free to use your GAZelle on the road as common 2WD truck, but when you drive your car in terrain, you can use it as 4WD jeep type vehicle. All 4WD vehicles dispose of reduction gearbox. Since 2010 AUTO MAX CZECH Company proceeded an export policy. If you are interested in sales of GAZelle in your country, please contact our salesmen.